In 1883, orphan May Arkwright moved to Idaho from Ohio where she worked as a saloon cook and opened up her own boarding house, where she quickly gained a reputation as the "best cook in the Coeur d'Alenes". In 1887 she met Levi Hutton, a locomotive engineer, and the two soon married. They were able to save enough money to buy a stake in the Hercules Mine where they are reputed to have spent their spare hours working together. The two were politically active in local labor associations and were sucked into the violent protests by Idaho workers in 1899. Held at gunpoint, Levi Hutton drove a train filled with dynamite that would be used to sabotage the non-union sites of the Sullivan Mine and Bunker Hill. Though Levi was never convicted, he was arrested and lost his job with the railroad. In 1901 everything changed for the Huttons, the Hercules mine finally struck a rich vein of silver and lead leading to a profit of nearly 2 million dollars. The sudden change in wealth and status, proved difficult for May Hutton. Known for her outrageous sense of style and outspoken nature, it was hard for members of high society to accept her. Over the next few years, Mrs. Hutton began to educate herself became heavily involved with the Woman's Suffrage Movement. 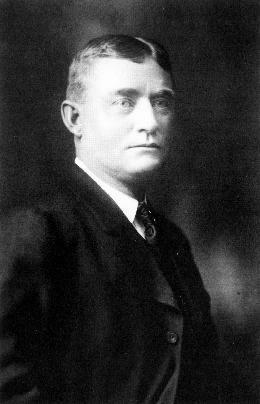 Having won the vote in Idaho, May Hutton ran for State Senate in 1904, but was not elected. Unlike Idaho, Washington State did not recognize women's suffrage, and when the Huttons moved to Spokane in 1906, May Hutton lost her right to vote. Again taking up the suffrage fight, she became the vice-president for the Washington Equal Suffrage Association. The association's president, Emma Smith DeVoe, and May Hutton and frequently butted heads. May accused DeVoe of using tactics that aroused antagonism. According to Hutton, DeVoe's western faction of the association spread scandalous rumors in an attempt to expel her from their ranks. Although there is no supporting evidence, rumors that Hutton was once "Bootleg Mary" who ran a whorehouse in Idaho, to this day the rumor remains. After the State's passage of universal suffrage in 1910, May Hutton claimed to be the first Spokane woman to register. 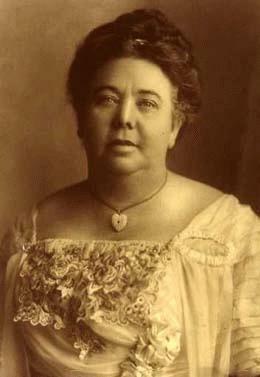 Although May Hutton was not always a welcome member of high society, she and her husband were known to have served President Theodore Roosevelt coffee at their home in Wallace in 1903, and were hosts to civil liberties lawyer Clarence Darrow and national suffragist leader Carrie Chapman Catt, who later headed a campaign for the 19th Amendment to the U.S. Constitution. May Hutton also served as a delegate to the State Democratic Convention in 1910 and the Democratic National Convention in 1912. May Hutton also supported many charities with both time and money including the Florence Crittenton Home for Unwed Mothers and Spokane Children's Home. She was well known for playing matchmaker to the many unwed mothers she became acquainted with. At Christmas, the Huttons would host a party for children at the nearby orphanage. The couple even provided a home for several children, though the couple never formally adopted any of them. The Huttons lived on the fourth floor of this building until 1914 when they moved to a mansion on 17th Avenue and Crestline. The Huttons donated a part of the land to the city for a park. 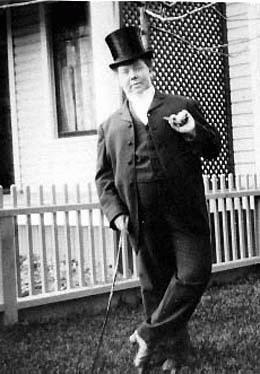 Suffering from poor health due to obesity and Bright's disease, a kidney condition, May Hutton passed away in 1915 at the age of 55. 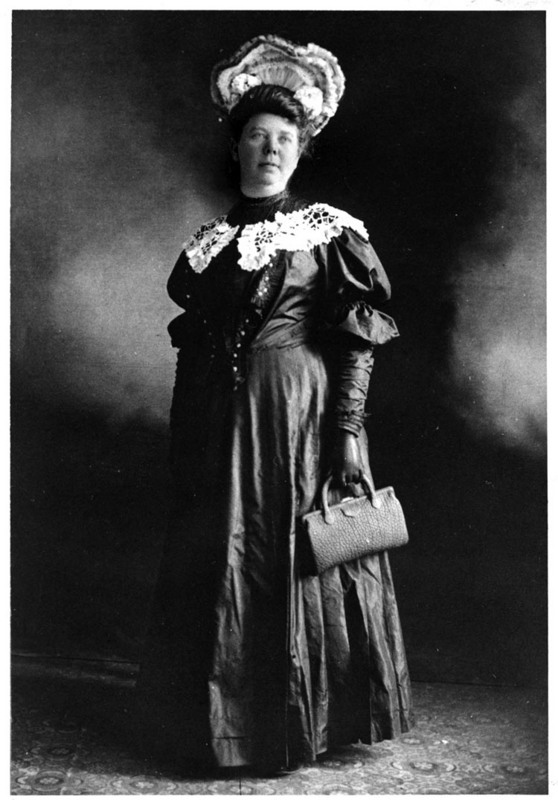 May Hutton in high society attire: Image Courtesy of the Washington State Digital Archives, Spokane Historic Preservation Office Photograph Collection. 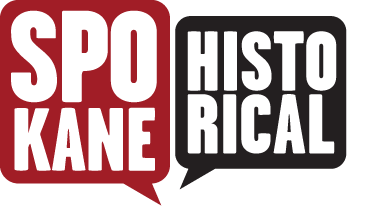 Keith Shelton, “The Formidable May Hutton,” Spokane Historical, accessed April 19, 2019, https://spokanehistorical.org/items/show/199.